Sisters Jasmin and Yesenia are participating in the bank teller training class. The first class of our bank teller training program is now meeting. The free program meets on weekday mornings at our Learning Lab in southwest Detroit. 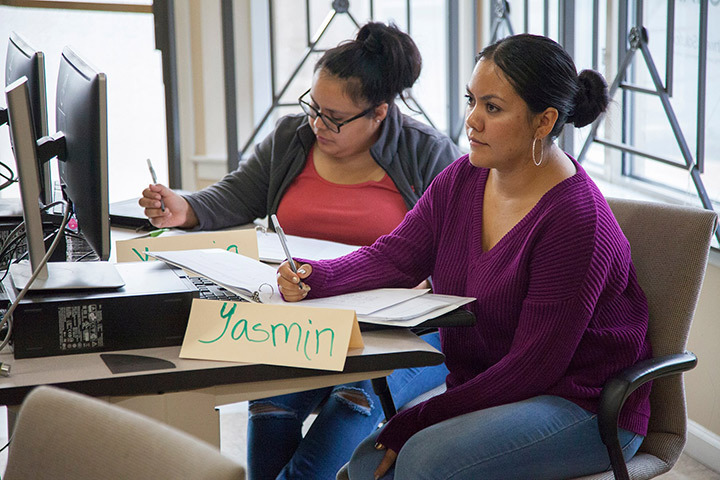 Ten women are participating in this first cohort, and many are bilingual (Spanish-speaking).